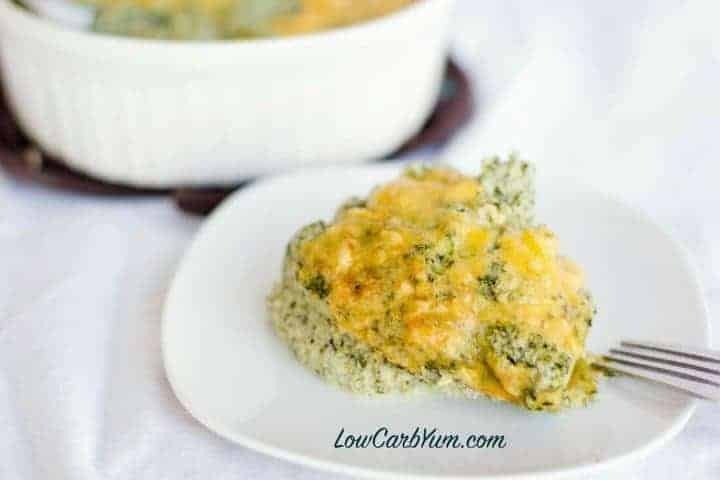 These keto cauliflower mashed potatoes with spinach are sure to be a crowd pleaser. There’s also sour cream and cheese mixed into the mashed cauliflower. 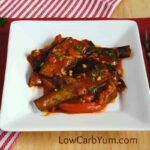 In an effort to eat more vegetables and come up with some delicious low carb holiday side dishes. 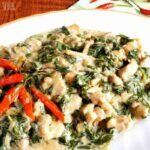 For this mashed cauliflower with spinach recipe, I modified an old mashed potato recipe to use cauliflower. Regular mashed cauliflower is just a bit too plain for me, so I like to up the flavor and add more color. Cheese is always a great addition. 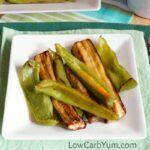 And, throwing in another healthy low carb vegetable like spinach doesn’t hurt either. There’s also something about eating a vegetable mashed rather than whole. It may be more like baby food, but the texture has a nice feel to it. 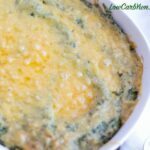 I also love the flavor combination of sour cream and cheddar in this keto cauliflower mashed potatoes with spinach recipe. The flavors taste so great together! 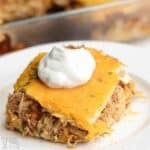 You may have noticed that I love to have gooey melted cheese on top of my low carb casseroles. It’s a favorite of mine. If you like your cheese crispy and brown, you can turn on the broiler at the end of baking. 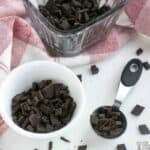 Don’t be afraid to change up the seasoning in this recipe. You can certainly tailor it to suit your tastes. Some people may not like dill, but I think it really adds a nice touch. 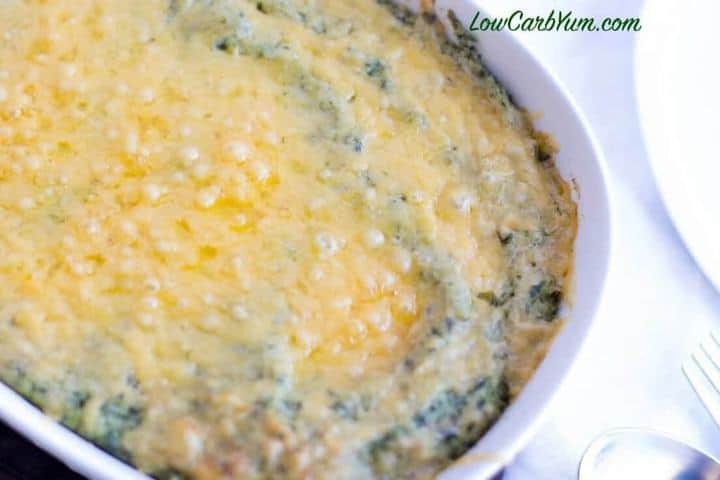 This keto cauliflower mashed potatoes with spinach recipe is sure to be a crowd pleaser with it’s sour cream and cheese flavor. 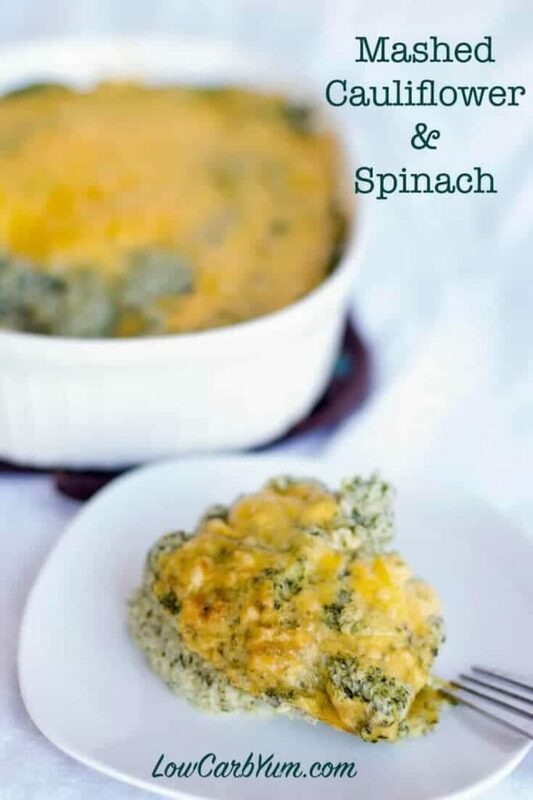 The spinach adds a wonderful green color that will have people wondering if it’s really a broccoli mashed potato casserole instead. That’s the great thing about combining everything in the food processor. You can really disguise a vegetable and make it appear to be something else. Although I love my sweets, I need to do more vegetable side dishes. There are so many health benefits that come from eating veggies that are difficult to get elsewhere. I’m also a believer that most nutrients should come from whole foods and not supplements. So, I like to eat as many nutrient dense ingredients as possible. 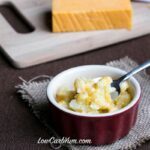 I really liked the flavor of this keto mashed cauliflower dish. I plan to make it again for the holiday lunch at work or our family dinner gathering. 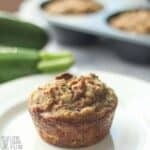 If you’re a fan of cauliflower and want some more delicious low carb recipes, check out this cauliflower recipe round-up! 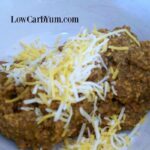 What’s your favorite low carb side dish to serve your holiday guests? A recipe for mashed cauliflower with spinach that is sure to be a crowd pleaser. 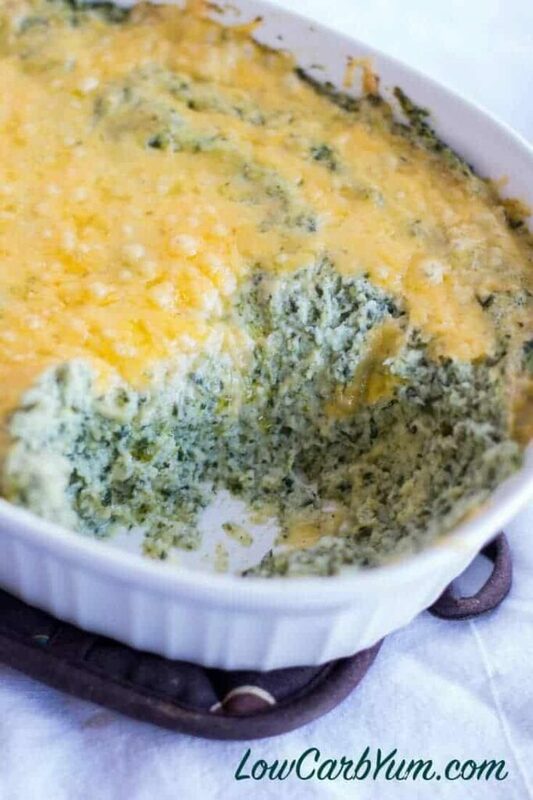 It has a sour cream and cheese flavor with spinach adding a touch of green. Cook cauliflower in boiling water for 6 minutes then drain. 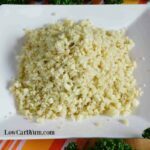 Place cooked cauliflower and butter into food processor. Pulse together until cauliflower is well blended with butter. Add spinach, sour cream, dried onion, salt and dill. Pulse in food processor until well combined. Bake at 350 degrees F for 20 minutes until cheese is slightly browned.